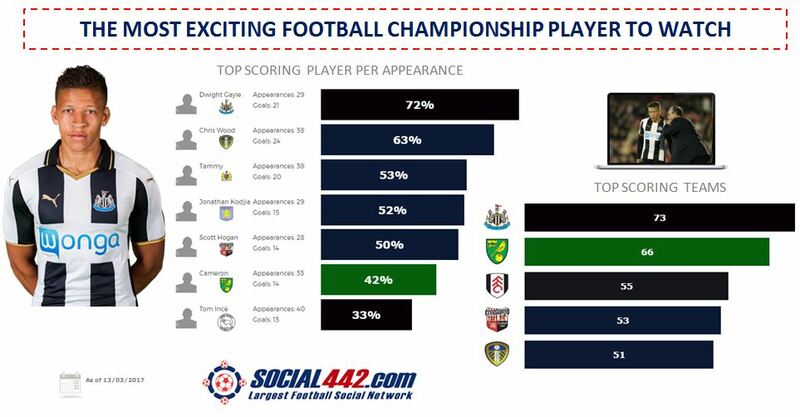 Social442 (largest football social network) stats show that Newcastle United who were recently relegated have the strongest goal scoring record in the English Championship league. They are the most entertaining football team to watch and stream online. They create many chances and so far have scored the most goals in the league. It is true football entertainment. Newcastle are currently top of the league and look set for promotion to the English Premier League. Watch out in particular for their top striker, Dwight Gayle, who is also the top scorer in the football league. He has had a great season and has been critical to their success.